When you will be moving overseas, you might need to store your stuff in a safe place temporarily. You will therefore need storage services that are both affordable and flexible. For this reason, Ocean Star International Shipping Company is always ready to serve all your moving and storage needs. With OSI, you can expect the best storage services available. If in the near future you need the help of a moving company that offers the best storage services available, you should call OSI today! When you take time to scout for a good domestic or international shipping company to help you, then you will have more convenience and peace of mind knowing that all your household goods or cargo are safe. You will save valuable time and money as well. 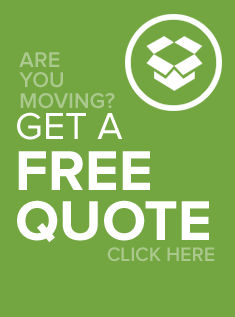 Our international movers will help you get from point A to point B without lifting a finger. Who doesn’t want less stress? Know the distance of your move. This is valuable information when you begin your canvass. For sure, you will be able to estimate how much you will be paying. Having the knowledge on how much you will pay from point A to point B is nice. With OSI, you don’t have to worry because the quotes that we present are the best in the whole industry. Even if yours will be an international move, expect OSI to work with the many global partners that we have. Consider the reputation of the moving company. OSI has a good record of working with thousands of clients already. This means that we have the ability to deliver you the best services available in our country. This is true for any city, state, or even in the international arena. Your stuff will be in secure and tidy storage facilities that have passed the national and international standards. Consider the size of the moving truck that you will need. When you know this, moving will be easier. With OSI, you can talk to our logistic officers and be in a more advantaged position by saving money once you know which kind of truck you will need. Be sure of the safety of your things. You should know if the storage facility has a 24-hour surveillance camera. What about security? It is important to know these things so that you will have more peace of mind. The insurance is also important too. OSI can provide all of these things for you. You can be secure and have better sleep knowing that your things are safe and sound. Call Ocean Star International today so we can assist you in getting started!